No one in their right mind would come to Bangkok and skip out on its amazing street food. There’s really nothing in this world that can beat a hot plate of pad thai and some mango sticky rice, and it will be the cheapest meal you will ever pay for. Of course, we must recommend Sukhumvit Soi 11, a street in downtown Bangkok that’s lined up with some talented vendors. Alternatively, you can also check out Yaowarat, Bangkok’s own version of Chinatown for some great street eats. 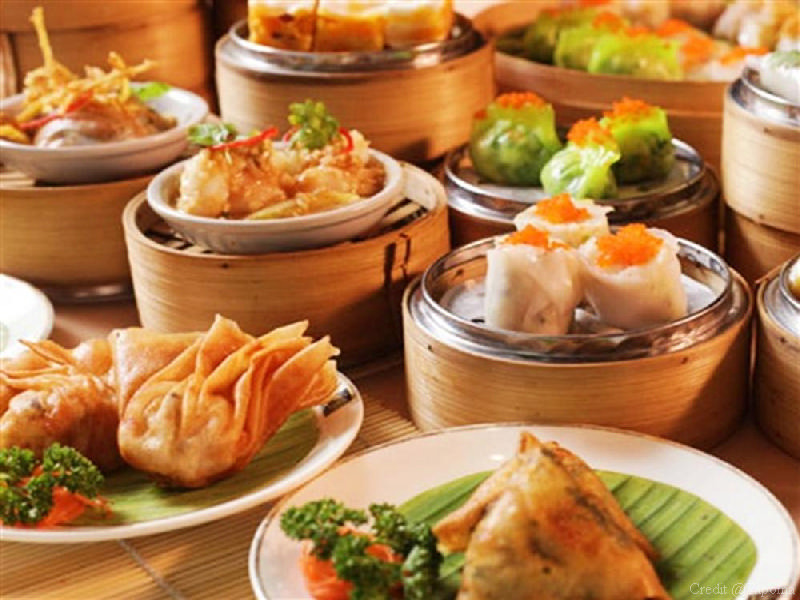 You can even learn how to cook authentic Thai food with a cooking class; you will even get to eat your food after! 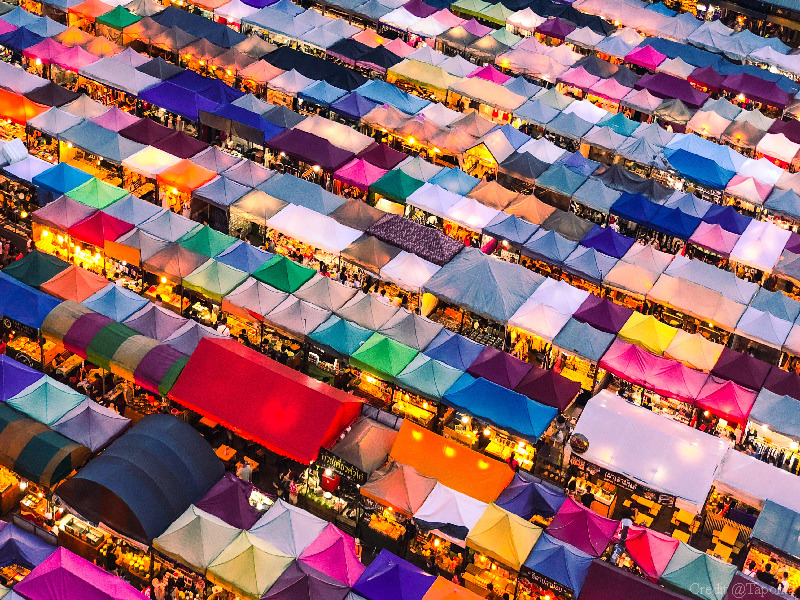 Explore and get lost in the maze-like Chatuchak Weekend Market which has approximately 15,000 vendors. Even if you’re not looking for anything in particular, chances are you will go home with something in your hands. 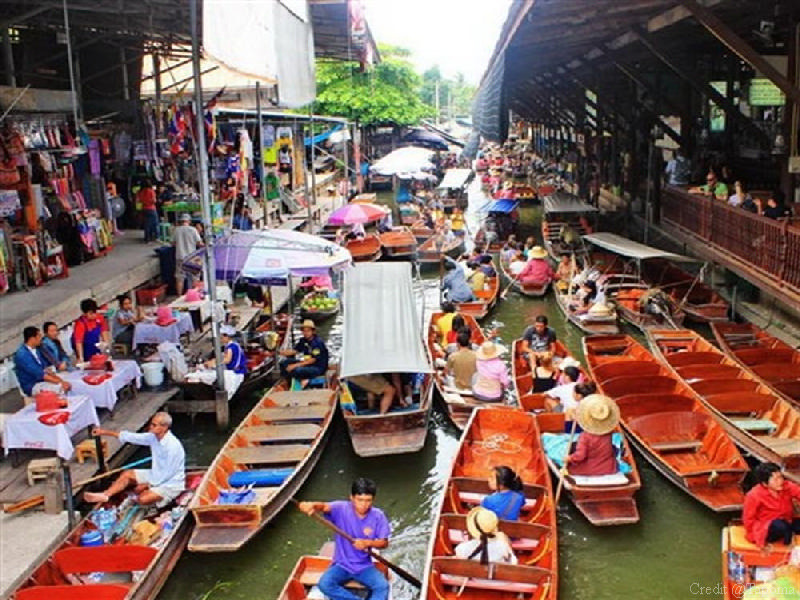 From cheap clothes to exotic animals, Chatuchak Market is a sight to see. There is also a huge eating area with a plethora of cheap and delicious street food. Get lost roaming around this never-ending maze of stalls. If you can’t stand the heat but you still want to shop, check out many of Bangkok’s famous shopping centers like Pratunam, Siam Square, Siam Paragon, Central World, and MBK. 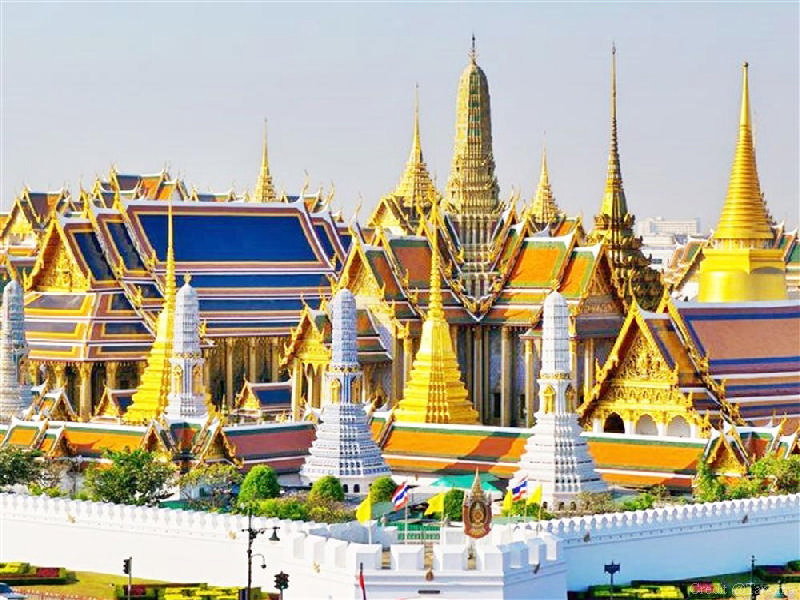 Bangkok is home to many impressive temples which are not to be missed. When in Thailand, one should not miss the chance to see some of these beautiful structures. 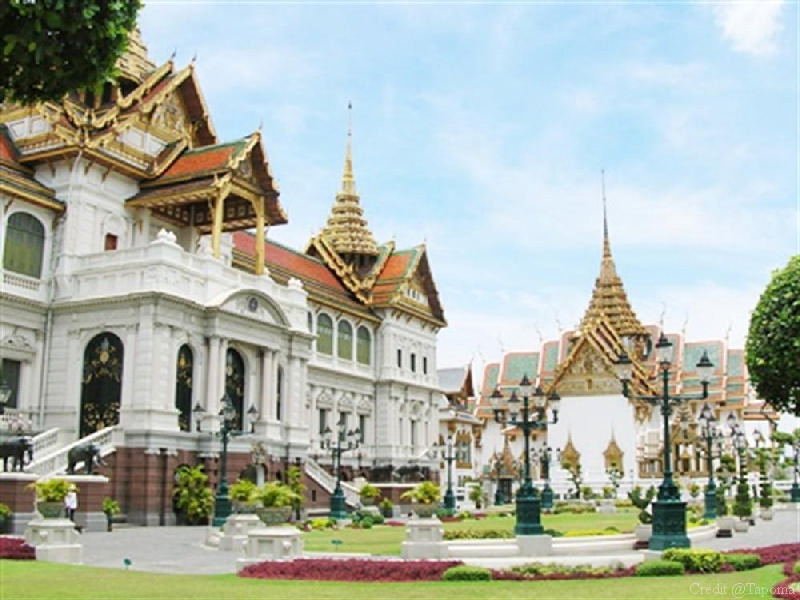 Some must-sees include the Grand Palace and Wat Phra Kaew, located in the same area. Marvel at their intricate craftsmanship and architecture. Go and see the iconic reclining and gold Buddha, head over to Wat Pho where you can wander around their impressive grounds, where the first Thai massage was initiated. 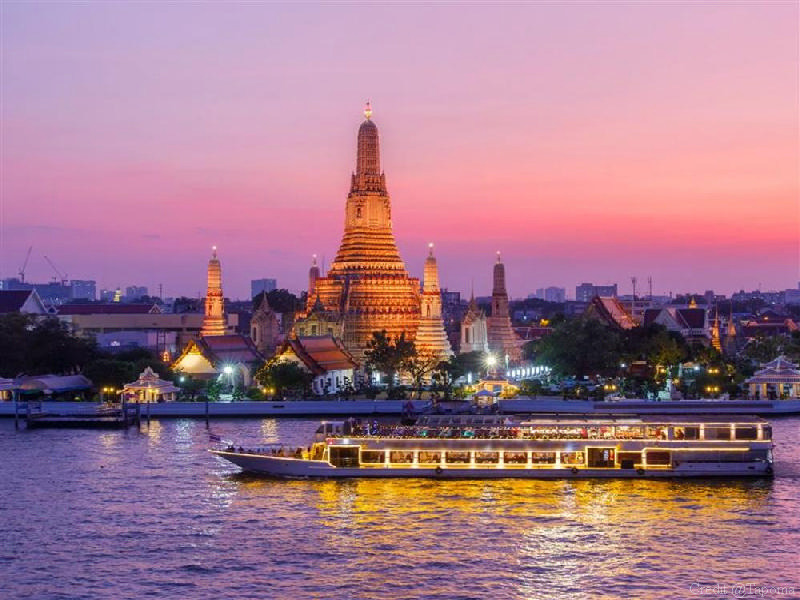 Wat Arun, also known as the Temple of the Rising Sun, is another temple that needs to be on your list. Other temples worth seeing are Wat Traimit, Wat Saket and the Golden Mount, and Wat Kalayanamit. Please note that you must wear proper attire when entering the temples. Shorts and sleeveless tops aren’t allowed. There are booths outside that will provide shawls, covers and other garments. Not too far away from the city are Tailing Chan or Khlong Lat Mayom, home of the floating markets in Thailand. Tailing Chan is located only 12 km from downtown Bangkok, making it an easy place to visit. You can hop on a small longtail boat cruise to see the sights as you watch the locals trade, sell, and bargain of various items. There are tons of food available. As it can get very busy, it is recommended that you try to go as early in the morning as possible. Because these places are easily accessible by public transport, we recommend avoiding a tour group and saving money by going on your own. Other notable floating markets are Amphawa, Bang Nam Pheung. 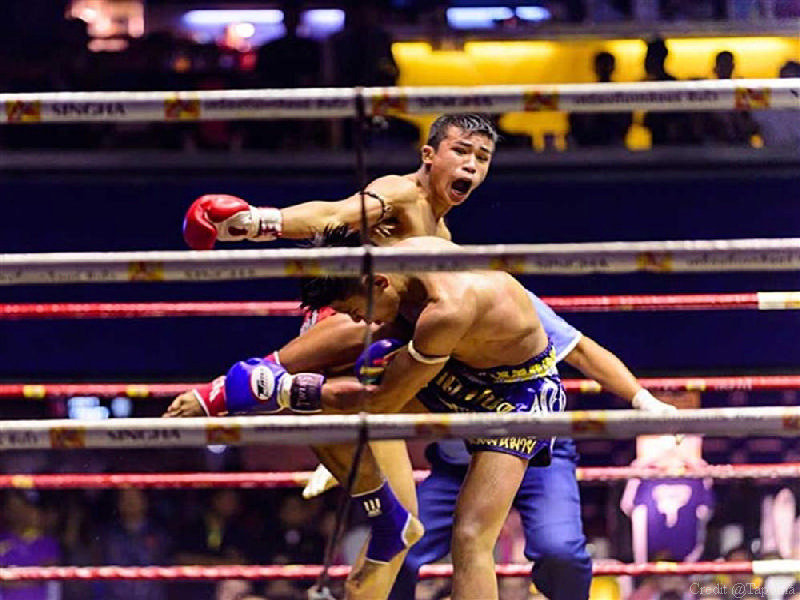 Muay Thai is a Thai combat sport that is very popular in the country. It’s quite similar to MMA but has several differences and features that make it unique. The city has two national stadiums, Ratchadamnoen or Lumpini which has regular Muay Thai fights. Try to score tickets to these matches and you will find yourself highly entertained by the ambiance, the fight, the spectators, and of course, the beer and other stadium snacks. Take a break from the bustle of Bangkok and take a trip down the Chao Phraya River. During your river ride, look around at the surrounding hotels, wooden shacks, old colonial buildings, and temples. You will also be able to interact with the locals. After a busy day of sightseeing and walking around, there is no better way to end your day than a massage. 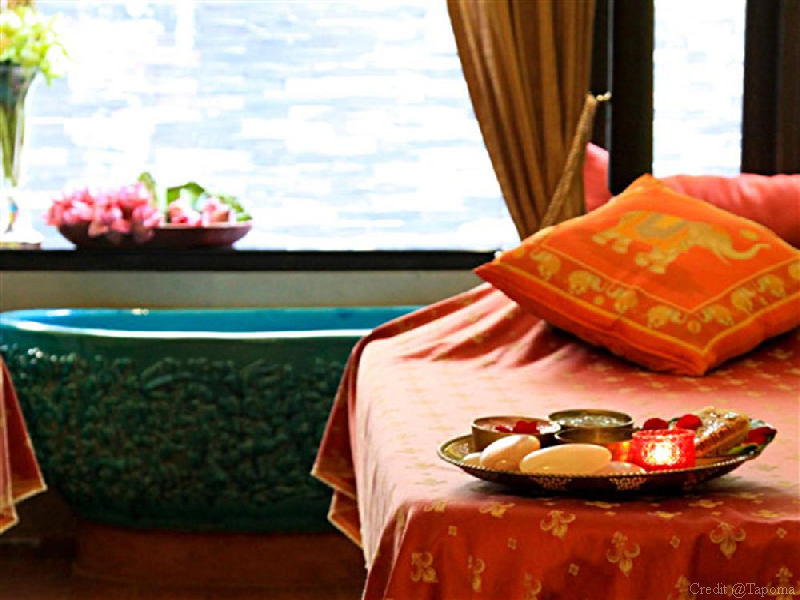 There are tons of great, and affordable, Thai massages available, whatever area you’re in. 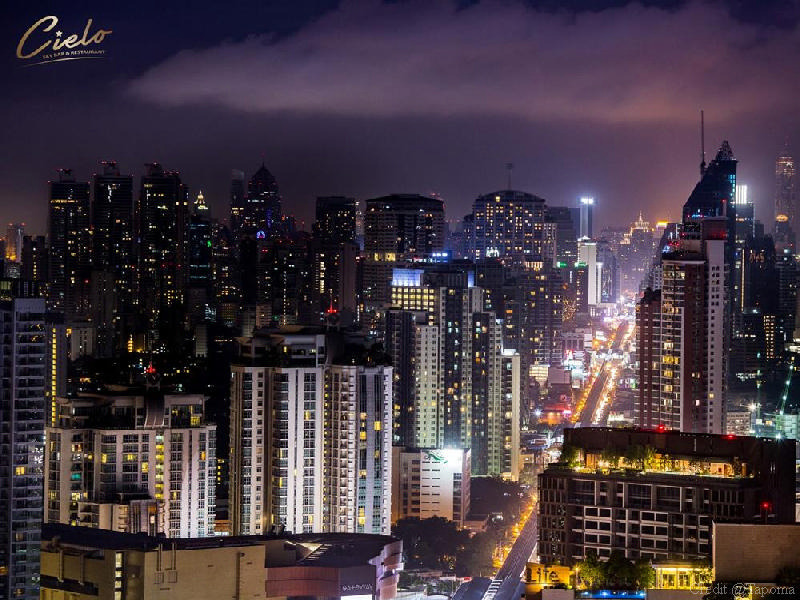 For city dwellers, seeing a city skyline at night is the ultimate beauty of the city. 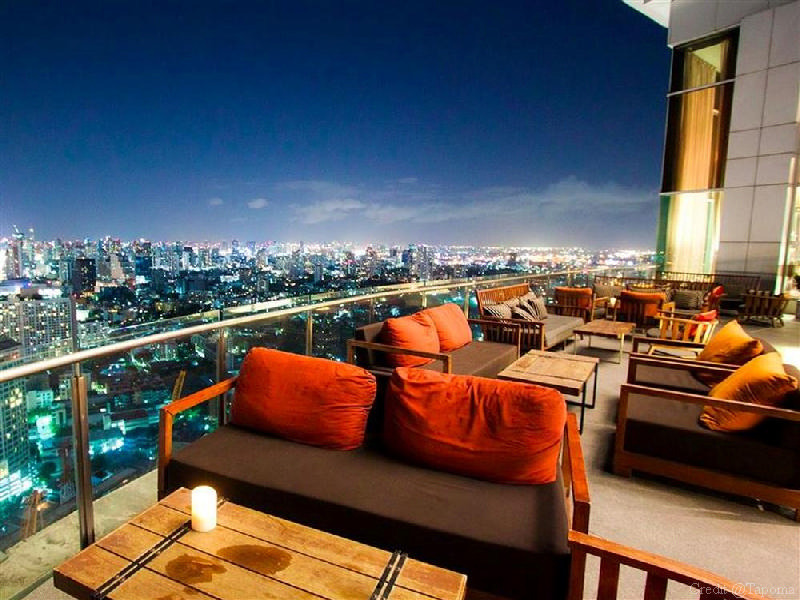 Bangkok has a ton of amazing rooftop bars with delicious cocktails to sip along with the views and some friends. 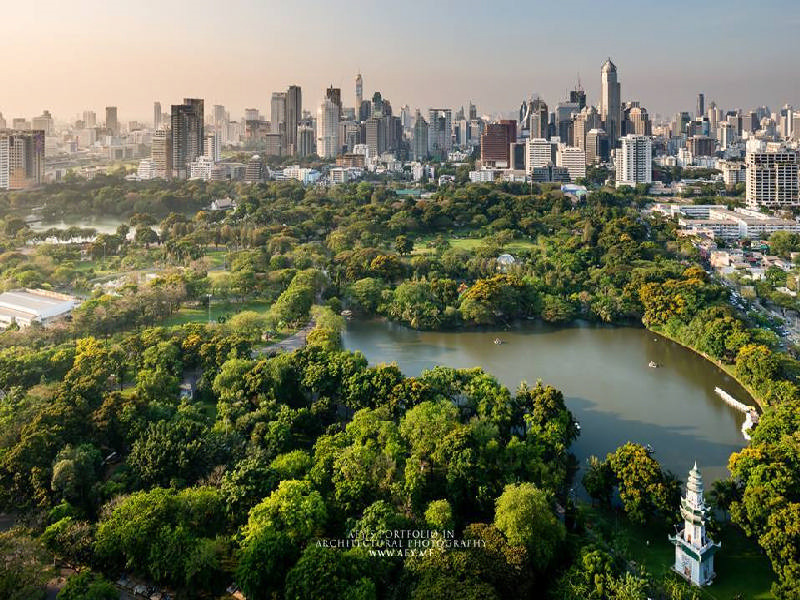 If you’re feeling like a chill day under a tree outdoors, Lumphini Park is the place to go. You will find both locals and tourists here. The park has more than half a million square meters and is home to many plants, flowers, and even some interesting animals. It is very entertaining, beautiful and calming to laze around here. 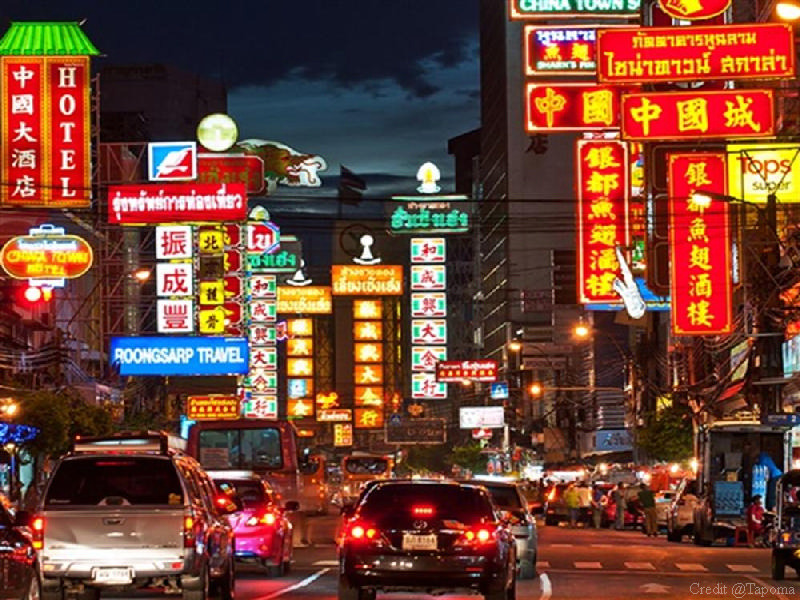 Bangkok is a good mix of sightseeing, culture, shopping, and relaxation. Have an amazing time and make some great memories in Bangkok.